If you were told to picture a cutting-edge telescope capable of discovering new planets you would probably think of the $600million Kepler space telescope or the huge La Silla observatory high on a Chilean mountain top. A waist-high bin with a handful of digital cameras in would certainly not spring to mind. But that is exactly what Ignas Snellen and his team at Lieden University plans to use to potentially discover dozens of new exoplanets. Hidden away high on a hill at the La Palma observatory, the first MASCARA or Multi-site All-Sky CAmeRA is already being built, and will be joined by 4 other sites across the globe if all goes to plan. 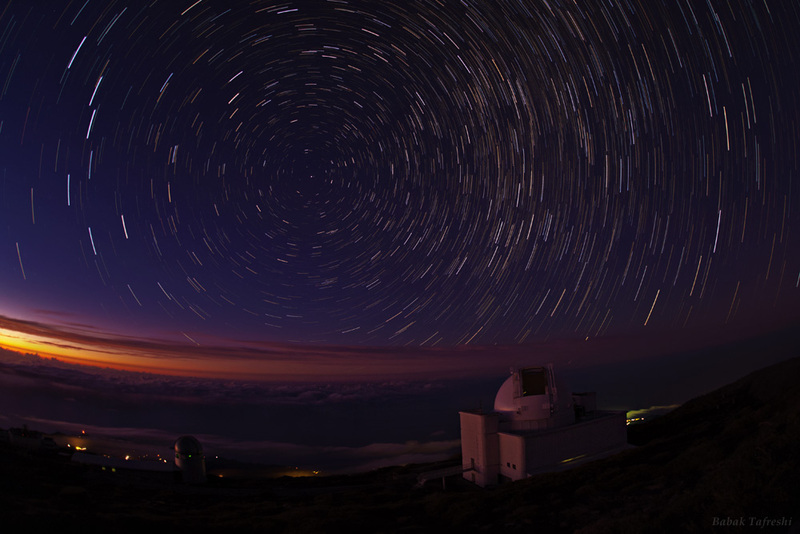 Five off-the-shelf digital cameras are the workhorses of the small observatories, and together are able to constantly take images of the entire night sky. By taking repeated measurements of thousands of stars over the course of more than a year, the team hopes to hunt for exoplanet transits, the dip in light when a planet crosses its host star. Unlike other planet-hunting telescopes, the cameras remain stationary rather than tracking the stars as the Earth spins. They instead will rely on short exposures and software designed to calculate the change in light of the stars and spot an elusive transit. This approach also means only the brightest stars can be studied. While bright stars may seem like the lowest hanging fruit, previous transit surveys (eg SuperWasp) have focused on scanning thousands of dim stars in much smaller patches of the sky. These bright star planets may also be perfect for the new generations of telescopes able to probe the atmosphere of these alien worlds. Since the first transiting exoplanet to be discovered in 2002, ground-based surveys have discovered dozens of large Jupiter-sized worlds close to their star. MASCARA will hunt for the hottest worlds which orbit their stars every few hours, but the team also seem confident that the array of cameras will be able to pick up smaller planets too. They suggest up to 7 Neptune-sized planets and even a handful of rocky worlds could be found, however transit surveys with similar goals have struggled to overcome problems with noise and small planets have not been forthcoming. Whether it finds small worlds or not, Mascara is certainly a novel way of hunting for exoplanets. It’s innovative and relatively cheap design (only €50K per station) is proof that sometimes in astronomy big money isn’t the only way to get big results.